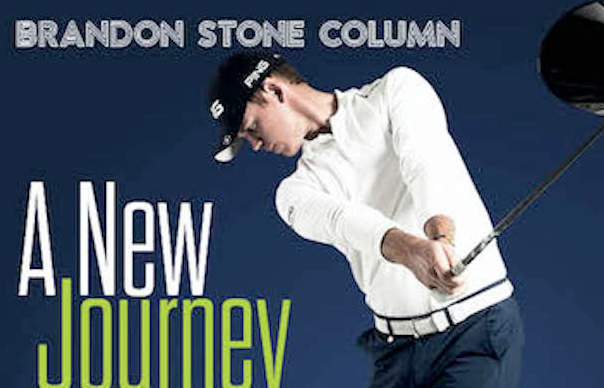 It is an incredible honour to be the new playing editor for Compleat Golfer. To follow in the footsteps of Louis Oosthuizen is a massive compliment to my golfing career and the manner in which I conduct myself off the course. I have some fantastic ideas that I can’t wait to share with you. I hope I can help you, the loyal and passionate reader, to not only understand the game a bit better, but also the golf industry as a whole. I’m hoping this partnership with Compleat Golfer will also help you not only to get to know me better, but also allow me to get to know the entire golfing community better. I find the prospect of getting to know how the ‘Average Joe’ sees the game I love so much appealing and exciting. I’ve been interested in the media side of sport my entire life. When I attended the University of Texas I did so with the aspirations of completing my scholarship with a degree in media and journalism. Fortunately I had an incredible year on the golf course, and the allure of becoming a professional golfer grabbed me a lot sooner than I anticipated. I turned professional in 2012 at the BMW International Open, where I finished tie-10th. At the time my only concern was, ‘How am I going to spend all this money I’m going to be making?’ That changed very soon after. We’ll get more into that over the coming months! Golf has always played a massive role in my life. I picked up my first plastic club when I was about two years old and over the past 23 years I’ve represented my country at every level. I represented the SA junior squad at the World Cup in Japan, the SA amateur squad at the 2011 World Amateur Team Championships and the SA Olympic team at Rio 2016. All those events were incredible in their own right and I look forward to sharing a few stories and lessons from them. Make no mistake, I did not get to where I am today alone. I’ve always had incredible support from my coaching staff, friends and, most importantly, my family. I am blessed to have a professional golfer as a father who guided me every step of the way. He never forced me or told me I was going to be a professional golfer. In fact, most of the time it was the complete opposite! And without being too much of a tease, I will delve deeper into our journey as father and son in the coming months. This partnership with Compleat Golfer has sparked a fire in my belly. To be involved in such a prestigious product is invigorating and I can’t wait to develop this relationship further. I hope you, as a reader, find my insights and knowledge valid. But, most importantly, I hope I can help you shave a couple of shots off your game.